As we discussed last week, the European Space Agency (ESA) Sentinel-1A satellite is due to be launched tomorrow night from Europe’s Spaceport in Kourou, French Guiana. This got me wondering, how many satellites are orbiting the earth? It turns out there are two organisations who can help answer this question; the Union of Concerned Scientists (UCS) and the United Nations Office for Outer Space Affairs (UNOOSA). The UCS is a non profit alliance of citizens and scientists working to design innovative solutions to the world’s challenges. On their website they maintain a database of active satellites; alongside information on their ownership, purpose and vital statistics. According to the UCS database, as of the 31st January 2014, there were 1,167 active satellites in orbit. Of these sixty-one have a purpose defined as Earth Observation, a further sixty-eight are defined as remote sensing, fourteen as meteorology and forty-nine relating to earth science. This gives almost two hundred satellites providing information about our planet, one must have data you could use and benefit from? Fifty percent of the active satellites are in low earth orbits, at altitudes between 160km and 2,000km, and they take between ninety and one hundred and twenty minutes to orbit the earth. Almost forty percent are in geo-synchronous orbits between 35,000km and 36,000km altitudes, taking one day to orbit. The remainder are either in medium earth or elliptical orbits. Satellites are generally owned by governmental bodies or private corporations; interestingly over 30 universities own satellites. There are fifty five countries who can claim to be in space, others may also make that claim through the eighty satellites managed by multi-national agencies such as ESA. The USA are leading the orbital land grab with links to over 500 satellites, significantly more than any other country; Russia and China are next linked to over one hundred. 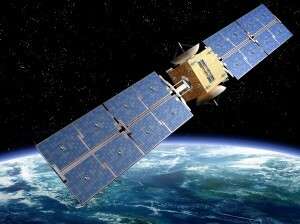 The UK has links to twenty seven; whilst ESA has eighteen satellites and has co-launched three others. Whist the UCS database deals with active satellites; UNOOSA keep track of every satellite launched, including manned missions. Established in 1958, its website has a searchable Online Index of Objects Launched into Outer Space. The oldest satellite in orbit is Vanguard 1 which was launched on the 17th March 1958. In total, the UN index lists 6,907 launched satellites, 2,931 of which have decayed and fallen back to earth, and 38 whose fate is unknown! Therefore currently 3,921 satellites are circling the earth, meaning there is almost 2,800 pieces of junk metal up there! Last year saw the greatest number of launches in a single year with 208. With NASA recently launching Flock 1, a fleet of 28 Earth Observation cubesats; there have already been 56 new objects launched this year. It’s clear the space sector is a thriving industry, and Earth Observation is an important part. When are you going to join in? Get in touch if you want to know more. This entry was posted in Copernicus, Earth Observation, ESA, Space Can Help, Space Industry, Understanding Space and tagged Earth Observation, ESA, Flock 1, NASA, numbers, pixalytics, Satellites, Sentinel-1, space junk, Union of Concerned Scientists, UNOOSA by Andy. Bookmark the permalink.